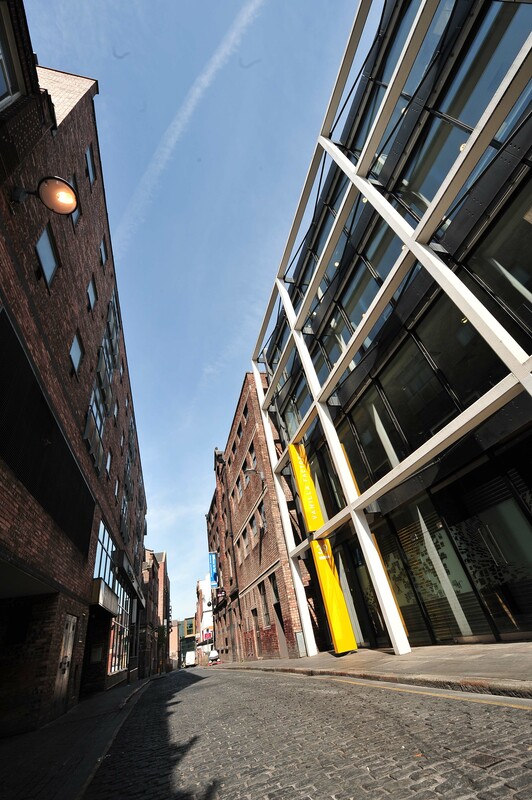 Grade A office space available in ‘The Department’ the comprehensive redevelopment & remodelling of the former Lewis’s building at the junction of Renshaw Street and Ranelagh Street. The iconic building has a stunning newly formed 8 storey atrium and reception area and a statue exceedingly bare. Features include BREEAM ‘Very Good’, fully accessible raised floor, 4 pipe fan coil air conditioning, suspended ceilings, LG7 low energy lighting, full WC facilities, dedicated bicycle storage, self contained loading bay to the rear, 3 new 13 person passenger lifts and new high performance aluminium framed windows. The space is available as whole floor plates or can be divided into suites of 8,000 sq ft. 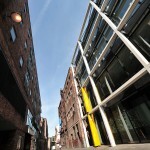 Located in the heart of Central Village, a new retail, leisure and office development close to Merseyrail Central Station and Liverpool Lime Street Station, Clayton Square Shopping Centre, Liverpool One, World Museum, St. George’s Hall and the Cathedrals. Part of an expanding number of NW Technology Management Centres. The development offers conference facilities, disabled access, resident on-site support staff, air conditioning, kitchen and wc facilities, a 10 person lift and car parking. Good location at the heart of the north west’s motorway network and within 30 mins drive of two international airports. Featuring the aesthetic hallmarks of an Urban Splash scheme, the Ternary combines old and new; Edwardian features are seamlessly fused with contemporary designs that make this the perfect base for a modern business. It’s currently permitted for D1 use meaning the right occupier could bring in a brilliant new cultural hub for the city; could be used as a crèche, day nursery, day centre, school, art gallery, museum or library and subject to change of use would make a fantastic office space or gym. frames. Each terrace benefits froma veranda covering pedestrian and individual entrance and reception areas. Tudor House is located in a peaceful setting within a short distance of the centre of Southport. There are two offices available in the rental. Support services include reception, dining area and toilet facilities. All available suites are furnished. The building is centrally heated and alarmed as well as being subject to constant CCTV monitoring. The site offers excellent privacy with most of the border being lined by mature trees. Stunning mix of Victorian design and 21st century architecture in the heart of the Ropewalks district – the creative heart of Liverpool city centre. Suites of various sizes are available and the specifications include open plan offices, LG3 lighting, secure door entry system and on-site building manager. Click on the link for more information – Vanilla Main Brochure. There is a range of unit sizes available in the three key areas of the Park: Wavertree Boulevard South, Newton Court and Faraday Road. Each unit has integral kitchen and toilet facilities with a number of dedicated parking bays. Visitor car parking spaces are plentiful. Grade A high quality office accommodation close to Bromborough over four floors. The development offers versatile suites from 1,173 sq ft. New Chester Road (A41) provides a direct link to Liverpool via the Birkenhead tunnel, and is within 2 miles of junction 3&4 of the M53.